Not long ago, Microsoft confirms Windows 8.1 would be available later in this year with free update. Windows 8.1 final version has released finally at 7 A.M. Eastern time on October 17. The Window 8.1 update is free for current owners of Windows 8. Now, you can simply go to the Windows Store app to find it. It actually takes a few hours for updates to reach everyone. Computers with Windows 8.1 already installed go on sale since October 18. People can be able to buy stand-alone copies of Windows 8.1 on the same day if you are using Windows 7 and lower. Note: Make sure you have access to your Windows 8 before updating to Windows 8.1. Forgot Windows 8 password? 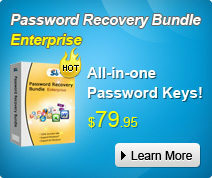 You must apply for Windows Password Recovery to remove the forgotten password and login to Windows 8 without limitation. The big headline news is that the Start button has returned to Windows 8 with Windows 8.1, although it still goes to the Start screen rather than the Start menu. Anyway, let's see what new features it brings to us. 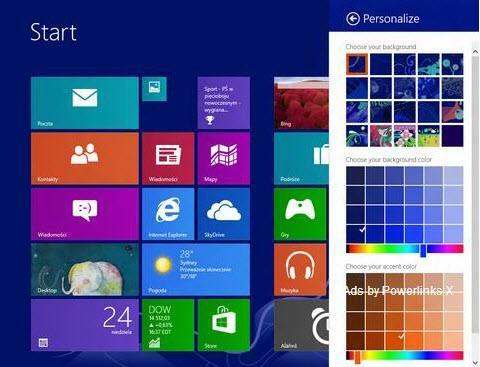 What New Features Windows 8.1 Brings? Start me up: The Start button is back in desktop mode, although not the way it was before Windows 8 came along. Now, one tap on Start flips you back to the new tile interface, where you can click or tap tiles to open programs. A long press brings up crucial settings such as the Control Panel. Boot to desktop: You can now start up the machine in desktop mode, bypassing the tiles for a short time. Gesture-enabled apps: You can now wave in the air in front of the front-facing camera to get a response. For example, in the new app Bing Food & Drink, a right-to-left wave in "Hands Free Mode" flips through pages of a recipe. Quick tile organizing: You can tap and hold Windows tiles with your finger to move them. Another couple of taps will allow you to resize them in one of four sizes. 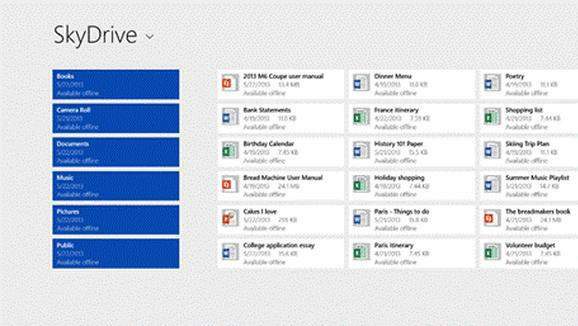 Microsoft updates the Windows Store in version 8.1. A redesign aims to show more information and a search bar at the top. Listing are more descriptive and includes an related apps section to help you find new apps. Lock screen access: You can now answer Skype calls or take photos from the lock screen without having to log in. Just swipe down. You can also set other apps such as Twitter to send notifications when the screen is locked. Save direct to SkyDrive: In Windows 8.1 final version, youf files can be saved directly to SkyDrive – it's completely integrated into the OS. The SkyDrive app has also got a new update so that files are available even when offline – as in the desktop version. Better multitasking: In Windows 8.1, you can run up to four apps at once side by side, double the previous amount, though you need a large, high-resolution monitor to do so. Email update: The standard-issue Mail app now has a "power pane" on the left-hand side with folders for updates from social networks such as Facebook, messages from favorite contacts and newsletters. Better browsing: You are no longer limited to 10 open tabs in the tile version of Internet Explorer. Apart from these changes, Windows 8.1 final version contains picture editing, Xbox music refreshing fun stuff. Enjoy the new changes in Windows 8.1 freely.